The inexperienced beaded string that forms the chain of this jewelry set provides it associate auspicious look The impressive pendant has been fretted with skillfully crafted metal work and options golden hangings atthe bottom. 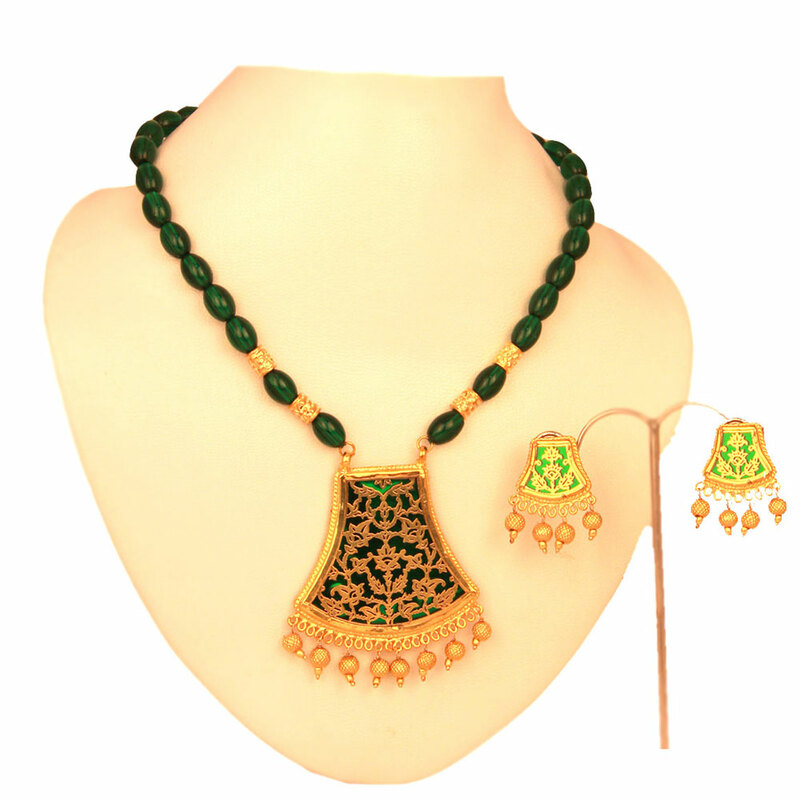 The green beaded string that forms the chain of this thewa necklace set give it an auspicious look The magnificent pendant has been interlaced with Read More..skilfully crafted metal work and features golden hangings at the base. Despite having a similar design, the earrings favour a much lighter shade of green. Show Less..